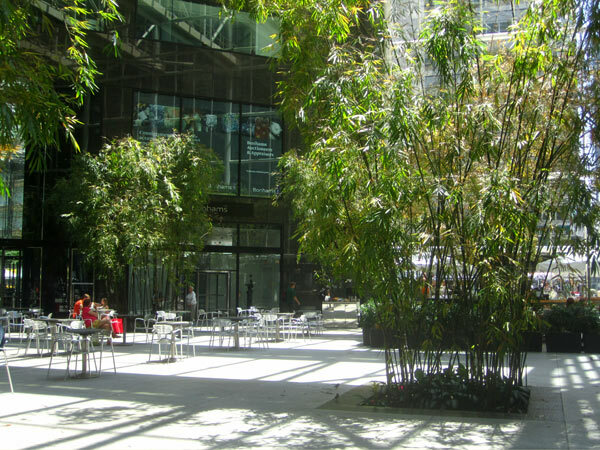 Opened in 1983, this interior landscape was designed as the public entrance and gathering place of IBM’s New York City headquarters. 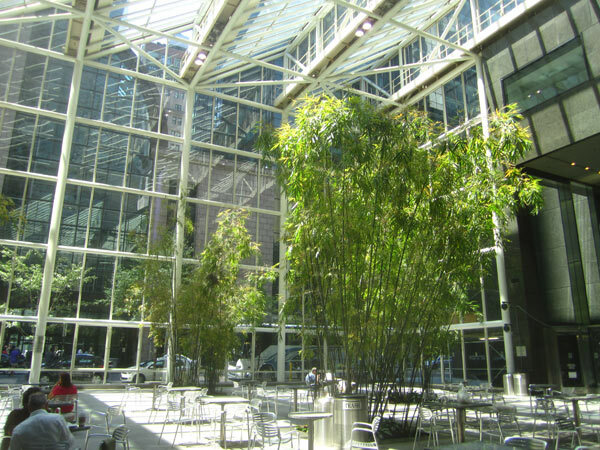 The 41-story building and four-story atrium, designed by architect Edward Larrabee Barnes and landscape architect Robert Zion, participated in the city’s unique zoning program, opening the privately-owned atrium space for public use and access. 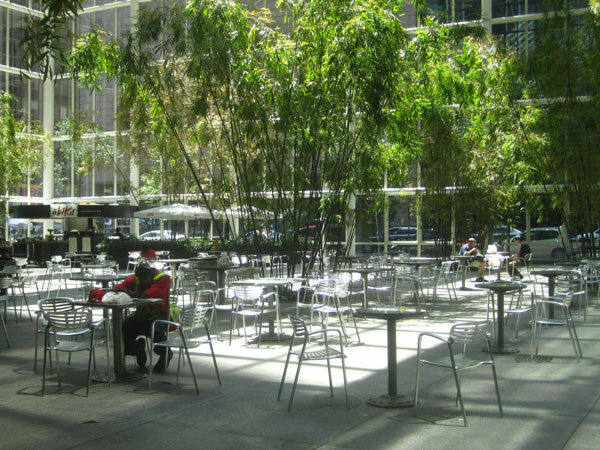 Zion's design for the transparent trapezoidal atrium projects from the building towards 56th Street at the corner of Madison Avenue, reaching out to the sidewalk and offering a public outdoor plaza that continues into the glass-enclosed atrium. 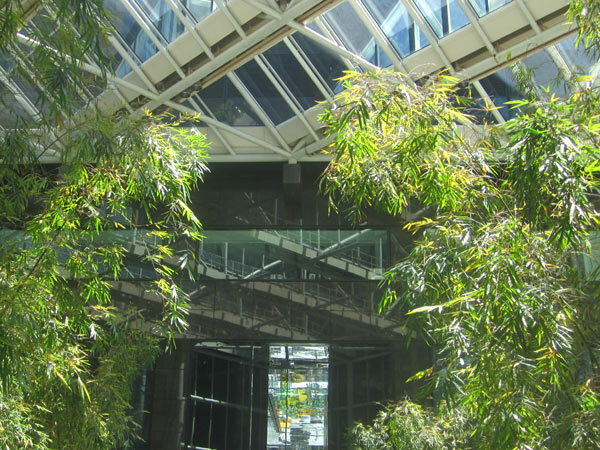 As originally designed, eleven stands of bamboo divided the atrium and filtered overhead sunlight coming through the sawtooth glass roof. 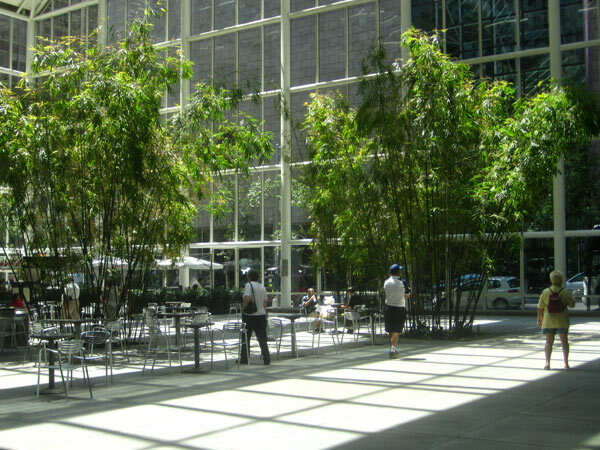 The bamboo is planted in a loose grid of square planters inserted into the granite floor. 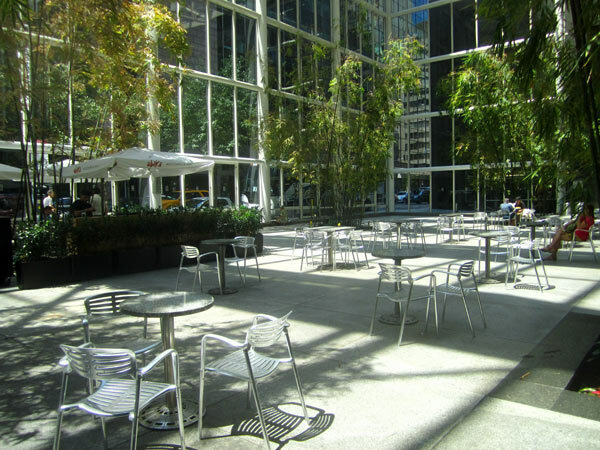 Movable seating creates small-scale conversation spaces, which echo Zion and Breen’s earlier work at Paley Park and perhaps indicate the influence of urbanist and planner William H. Whyte, who was consulted on the project. 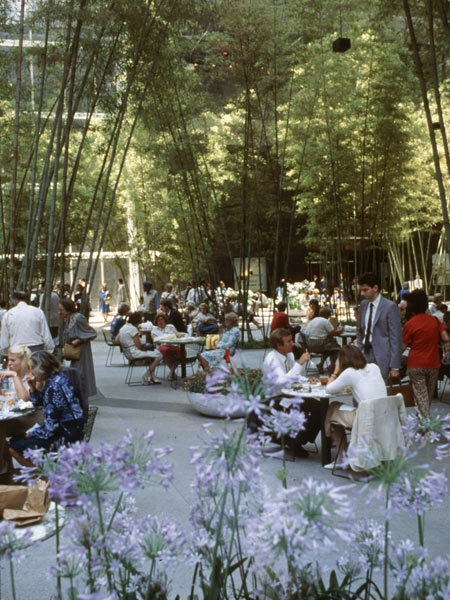 In 1995, three stands of bamboo were removed and a permanent food kiosk and rotating exhibit of modern art were added to the space’s programming. 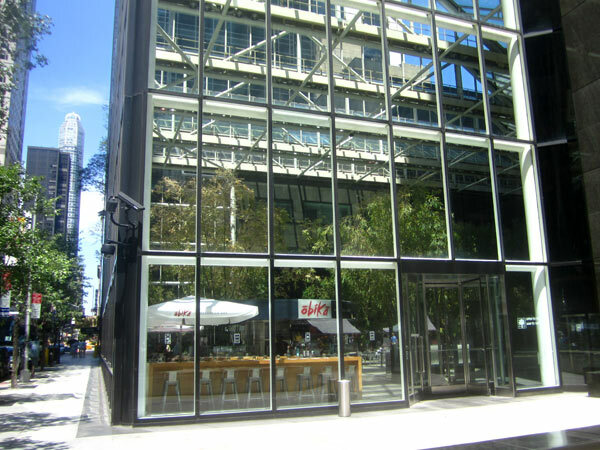 Among other pieces in the collection, Michael Heizer’s Levitated Mass, a horizontal granite fountain, anchors the atrium entrance at Madison Avenue.